Freshly Picked - Review and Giveaway! FRESHLY PICKED REVIEW & GIVEAWAY! As you all know, I have been obsessed with fashion and design my whole life! 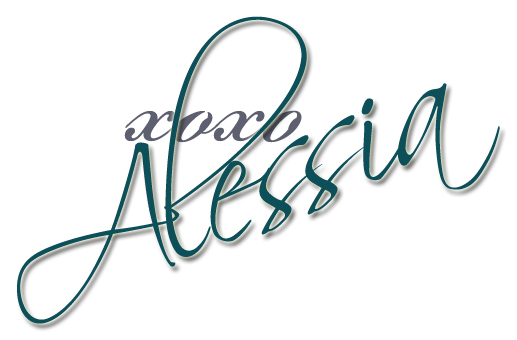 When I had my daughter I became obsessed with kids fashion and design, hence why I started this blog and my own line of accessories for kids. I started looking and researching small businesses relating to baby and kids fashion, I wanted Mia to have fashion forward clothing that was modern and different. Don’t get me wrong I love your typical brands as well, but wanted something less mainstream. I ended up finding lots of small shops, mostly mom-run businesses that had amazing options for kids! One of the companies I discovered while I was pregnant was Freshly Picked. Freshly Picked, if you haven’t heard of it, is a company that sells Moccasins for babies and kids. I fell in love with the cute moccasins and couldn’t wait to buy a pair for my babe once she was born. Fast forward 2 years later and Freshly Picked sent over a pair of their amazing moccs for review! I jumped for joy at my mailbox, literally! So what is so great about Freshly Picked? Freshly Picked moccasins are made in the USA and made from 100% Genuine Leather that is both durable and suitable for babies and toddlers. They feature a unique design with an elastic opening and are easy to put on and take off, but stay on your child’s foot. They are available in different leathers and suede’s and are fashion forward. Mom, Susan Peterson started Freshly Picked with $200 she made by selling the aluminum of old windows. You can learn more about her story here. When I received my Freshly Picked Moccasins they were delivered in a cardboard box, when I opened the box I found the moccasins inside their own small bag with the Freshly Picked logo on it and a Freshly Picked Button Pin. 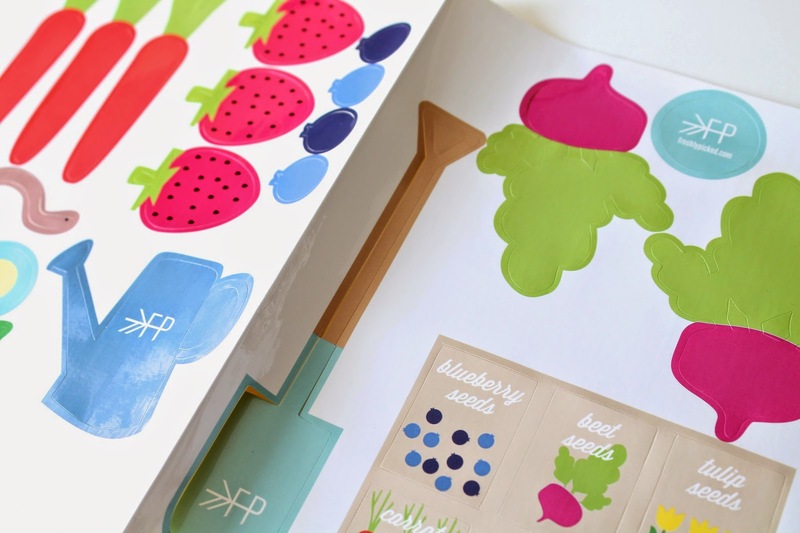 The inside of the cardboard box also had cute graphics of flowers, a turnip, a strawberry and water can. 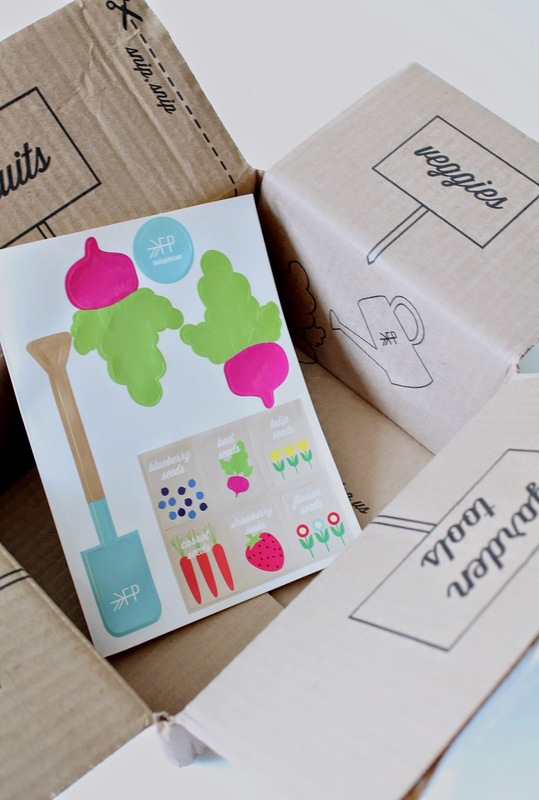 Each of the cardboard folds had cute labels; flowers, veggies, fruits, and Garden Tools. At the bottom of the box, under the moccasins was a page of stickers. I loved the packaging and I could only image how much I would love the moccasins! 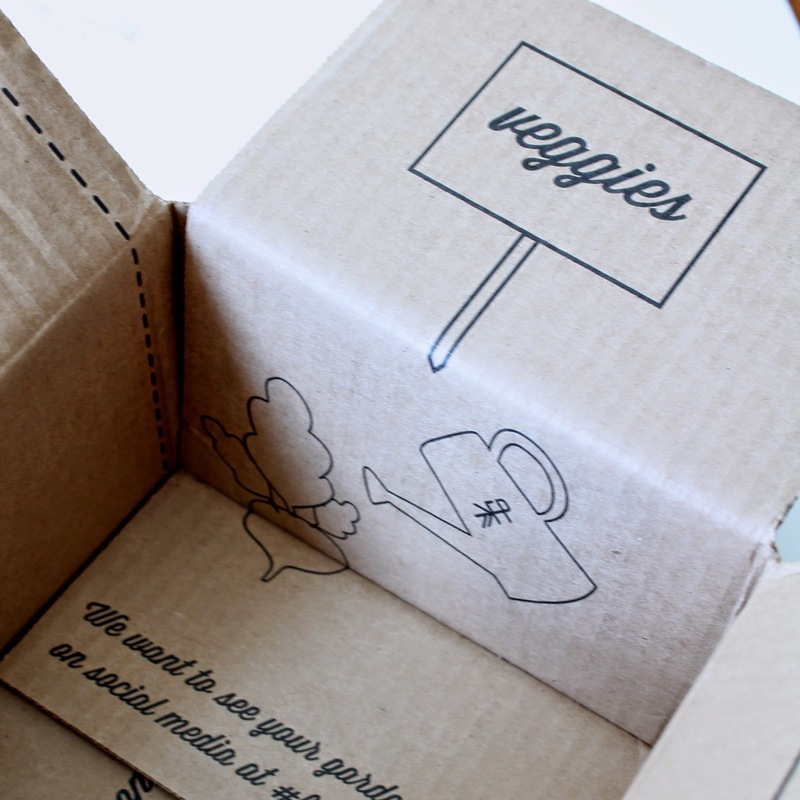 I love great branding and the little details that small companies include, it goes a long way in my eyes! When I opened my Freshly Picked “dust bag”, I was amazed at the color of the leather and it’s metallic sheen. I had received the Rose Gold Limited Edition Moccasins. They were exactly what I had hoped for, girly but modern. Upon closer inspection I notice the attention to detail. The fringe is cut perfectly and falls perfectly on little feet. All seams are sewn with care. 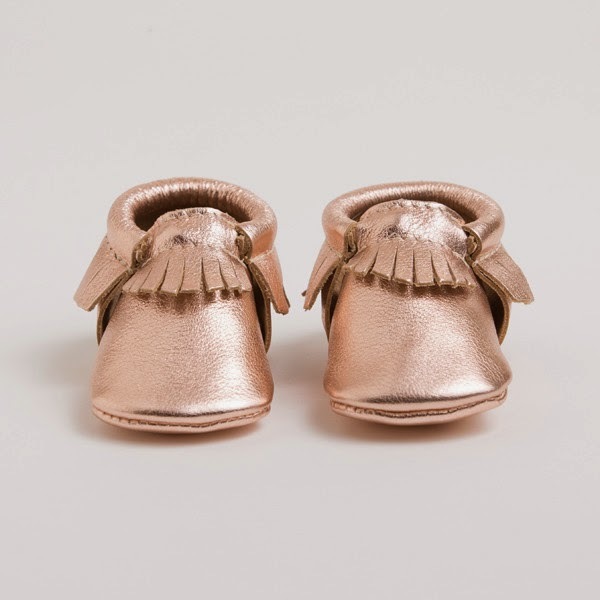 The company’s website says that each pair is "made with care, perfection and a love for the little feet they are intended for" and I must say that is a true statement! My daughter loves her moccs and says they are very comfortable. I have seen many children wear the moccasins outside but I am not sure if I want her to walk around with $60.00 moccasins, as I am afraid they will get ruined! And yes, the moccasins retail for $60.00, a bit steep for these fashion forward adorable shoes that your kiddies will grow out of quickly. If they were in the $30.00 range I would probably own quite a few pairs. The moccasins fit true to size and are available in children sizes 1 to 10. The Freshly Picked website has a handy shoe size chart that will take the guessing out of sizing. All in all, I am super happy with my Rose Gold Limited Edition Freshly Picked Moccasins and would recommend them to everyone! And since I recommend them, how about having a giveaway for your very own pair! 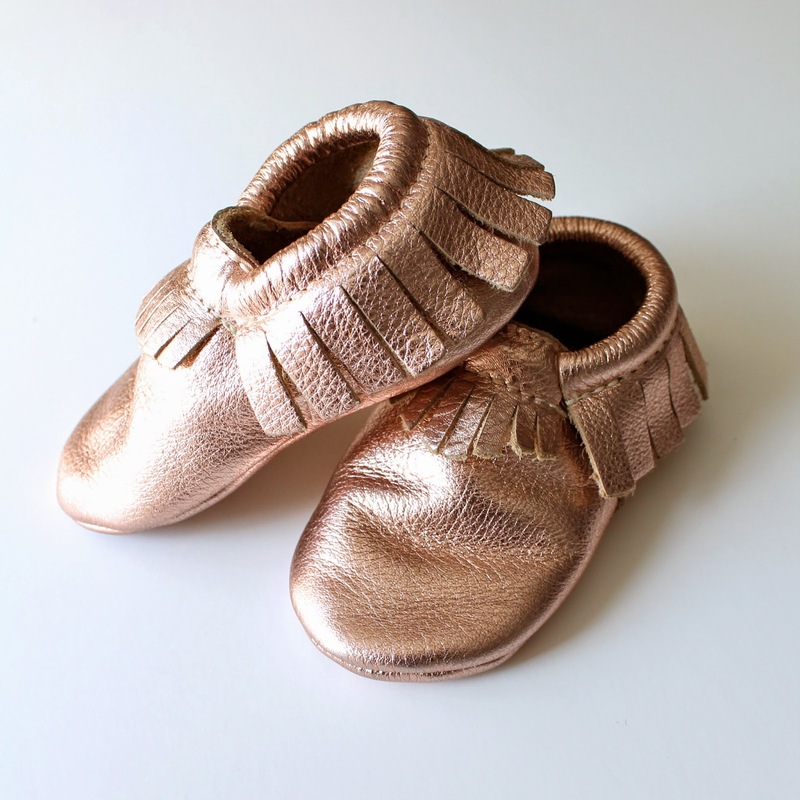 Freshly Picked & The Styled Child Moccasin Giveaway! One lucky winner will win ONE PAIR OF FRESHLY PICKED MOCCASINS in the style and colour of their choice! Contest is Open World Wide from September 1st to 14th, 2014. Canadian and International Residences will have to pay for shipping. The winner that must have not won any other giveaway including a pair of Freshly Picked moccasins within the last 60 days. Winner will be Announced September 15th! Disclosure: I received samples from Freshly Picked for review. All opinions expressed on this blog are my own. Please do not use photos without permission. Photos courtesy of Freshly Picked and The Styled Child.